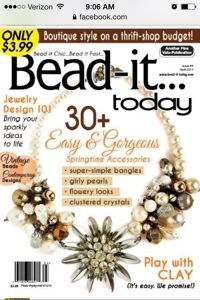 This entry was posted in Creations and tagged bead-it, jewelry, magazine, necklace, pearls, publish, strandedinthecity, vintage. So happy for you! Congrats! Beautiful piece that deserves a COVER!